Gastric bleeding is the entry of blood into the stomach cavity either due to inflammation, infection or rupture of the stomach lining. The gastric lining is highly vascularized (extensive blood supply) and any factor that may compromise the integrity of this lining can result in bleeding. This can vary from minute cuts and sores in the lining, bleeding ulcers to actual tears of the stomach wall. Stomach bleeding is also referred to as gastrorrhagia and a gastric hemorrhage. Any sign of upper gastrointestinal bleeding should be taken seriously and immediate medical treatment should be sought. It is difficult to identify the exact location of a gastrointestinal bleed by the signs and symptoms alone and diagnostic investigations by a medical professional is necessary. Most cases of upper gastrointestinal bleeding (esophagus, stomach, duodenum) is a result of bleeding within the stomach. 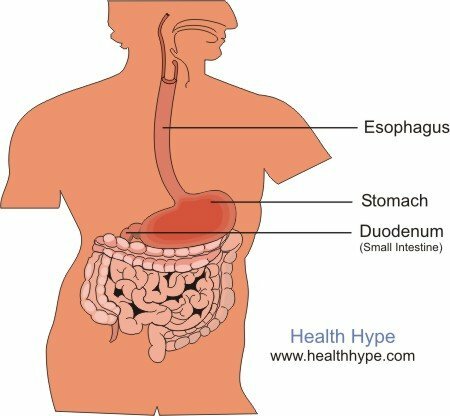 There are a host of causes of gastric (stomach) bleeding, some of which can be acute and may not require treatment, while others could be related to serious chronic conditions. Vomiting of red, ‘fresh’ blood (hematemesis). Vomiting of ‘old’, brown to black blood which resembles coffee grounds. Presence of ‘fresh’ blood in the stool (hematochezia). Black tarry stool due to the presence of ‘old’ blood (melena). Epigastric pain (upper middle part of the abdomen, just below the breastbone) which may vary from sharp, stabbing pains to stomach cramps. Not all these signs and symptoms of stomach bleeding may be present and the presence of blood in the vomit (hematemesis) is sufficient to make a differential diagnosis of upper gastrointestinal bleeding. Hematemesis may be due to bleeding elsewhere, including the mouth and upper respiratory tract, so it has to be differentiated from upper gastrointestinal bleeding with an upper GI endoscopy. Other gastrointestinal symptoms including indigestion and heartburn. Fatigue and shortness of breath in chronic bleeding. Fainting if there is significant blood loss. Loss of weight in chronic cases. Smell and taste of blood. This is subjective but is sometimes reported by patients with upper gastrointestinal bleeding. * Red flag signs that are considered a medical emergency.